Wednesday November 8, 2017: Both Six and Klein make bail, Chet stonewalls Amy and Nelle blackmails Valentin. Nathan finds Amy when he steps off the hospital elevator. She fills him in on Chet overdosing and breaks down in his arms. Nathan promises not to arrest Chet, but he does have to question him about where he got the drugs. In Chet’s hospital room, Finn congratulates his patient on surviving and launches into the details of Chet’s ordeal. Chet is not in the mood for a lecture. Finn passes Amy as he leaves. She runs into the room and hugs her brother, but he tells her to get out. She declares she won’t leave him. He’s her hero. When Amy reluctantly has to get to work, she insists she will be back. Outside Chet’s room, Nathan suggests Amy tell her brother about the money she used to help him. She refuses because Chet’s pride is all he has left. Amy returns to a sleeping Chet and tells him she will never give up on him and begs him not to give up on himself. Maxie nervously fidgets as Nina reads her article at the office. She’s worried about the embellishments she made about her being the inspiration for Ask Man Landers, but Nina thinks it’s great. Pleased, Maxie exits and finds Nelle at her desk. The women are snarky with each other and Maxie informs Nelle she’ll be assisting her as well as Nina. Nelle is not pleased and storms into Nina’s office. She’s strapped for cash and needs a raise. She feels she’s earned it. Nina would give her a raise in a heartbeat, but with the Aurora takeover, they’re in a holding pattern. Nina sends her assistant out for coffee, but also asks her to look over Maxie’s article. Nelle’s surprised, but Nina values her input. Before she leaves, Maxie snidely gives Nelle her coffee order. Michael visits Sonny at Pozzulo’s, where they discuss Six. If Six is Jason, Michael worries how he’ll explain how easy it was to believe that Sam’s husband was Jason. In the PCPD jail cells, Six unsuccessfully tries to get information out of Klein, before the shady doctor makes bail. Klein wonders who posted it, as he’s led away. Carly walks in to see Six. She urges him to forget about Franco and focus on getting his life back. She excitedly informs him Diane is working on bail and that Sonny will pay it. She adds that she bought him new clothes and bounces off. Anna finds Valentin has broken into her home again. He tells her he wants to help her bring down Cassandra. Anna is leery about his change of heart, wondering if she can trust him. Valentin gets a call from Klein, who assumes Valentin posted his bail. Valentin denies it and hears Klein being attacked before hanging up. Valentin returns to the conversation with Anna saying he’s her best chance to take down Cassandra. Anna warns him not to compromise the operation, as Finn comes to the door. 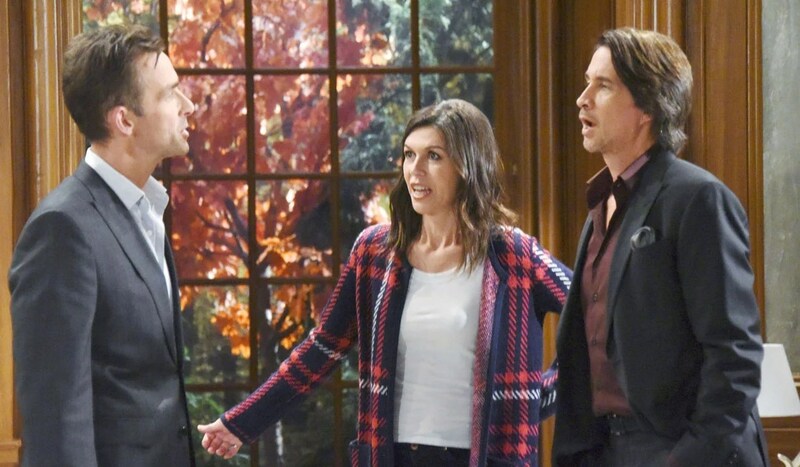 Valentin leaves and Finn tells Anna he wants back in. It seems treating Chet has inspired him, but Anna thinks Finn was right to walk away. Besides, she’s found another way in. 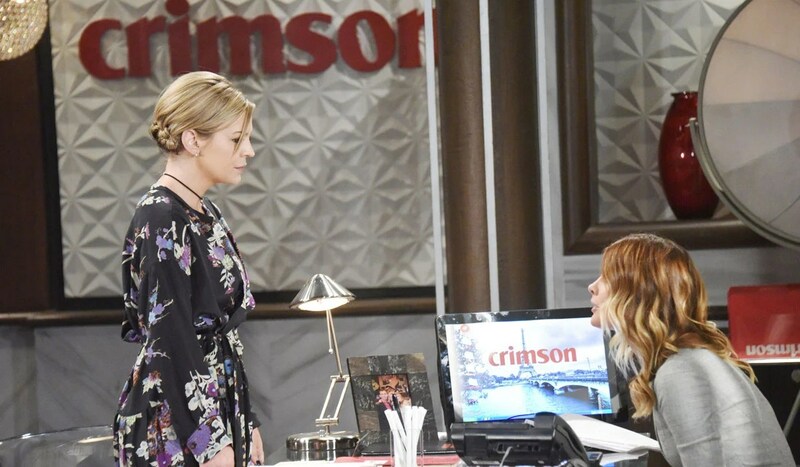 Finn realizes she’s talking about Valentin and says, “Oh, Hell no.” Anna reminds Finn he cut Cassandra loose anyway when he gave her the all clear on her test results. He slyly informs her he still has one test result pending. Anna warns it could be dangerous, but he says some things are worth the risk. Nelle finds Michael at the Metro Court restaurant. She offers to listen to what he’s going through with Jason, but he declines. She pushes the issue because she loves him and thinks they can help each other. She touches his arm as Carly walks in and sees. Michael tells her it’s best they go their separate ways. Nelle walks off in tears and runs into Valentin. She tells him if he doesn’t help her get a raise with Nina, she will blow his marriage out of the water. Meanwhile, Carly sits down with Michael who tells her he and Nelle broke up. Carly is sorry he’s hurting and offers to listen. Michael insists he’s fine. Carly says if not her, there is someone else he can talk to. Sonny’s men bring Klein to his office at Pozzulo’s. 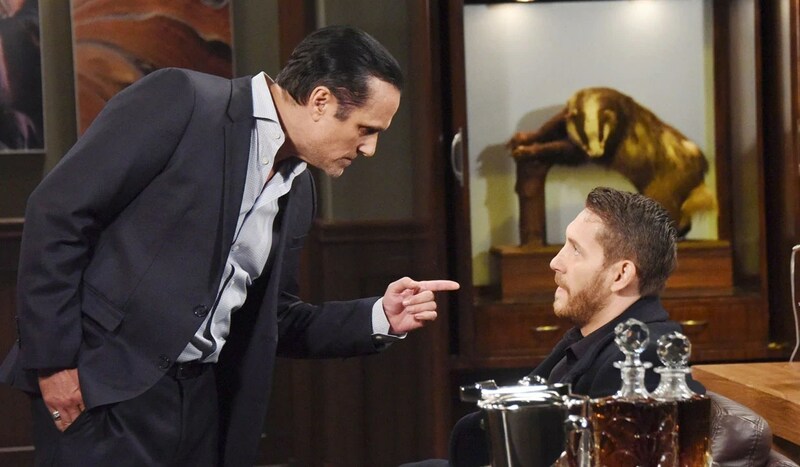 Sonny tells him he paid his bail and demands to know who his boss is. Klein swears he doesn’t know his client’s name, adding the man always contacts him, not the other way around. Sonny says they will wait until his client calls. As Klein tries to reason with Sonny, Six – clad in a black t-shirt and black leather jacket – walks in as backup. A nervous Klein insists he doesn’t have a name for them, as his phone rings. Luck is on Ava’s side.